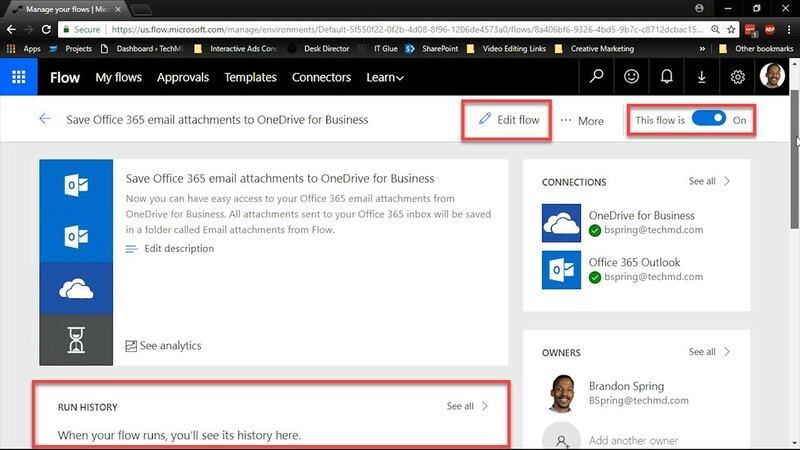 In today’s One-Minute Wednesday, we’re checking out Microsoft Flow. Flow works to automate tasks and workflows that you would normally perform manually. Let’s check it how it works. 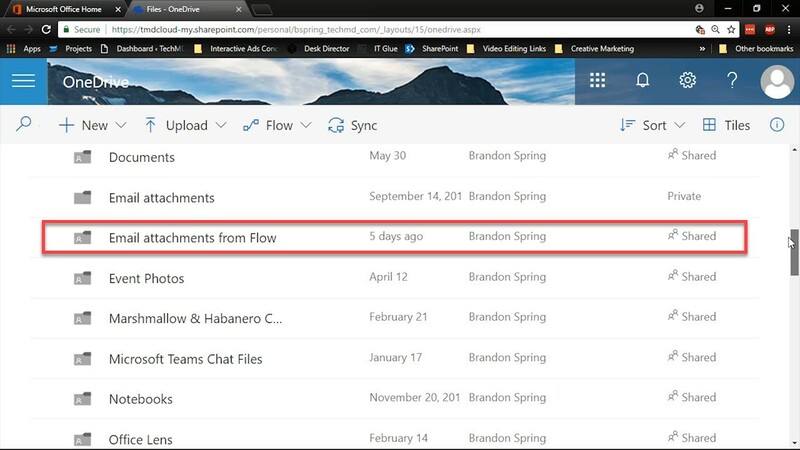 Microsoft Flow links different apps and programs together to create workflows for you. You’re provided with a variety of templates that help you boost productivity, manage your calendar, store files and a lot more. Let’s check out one of these Flows in action. 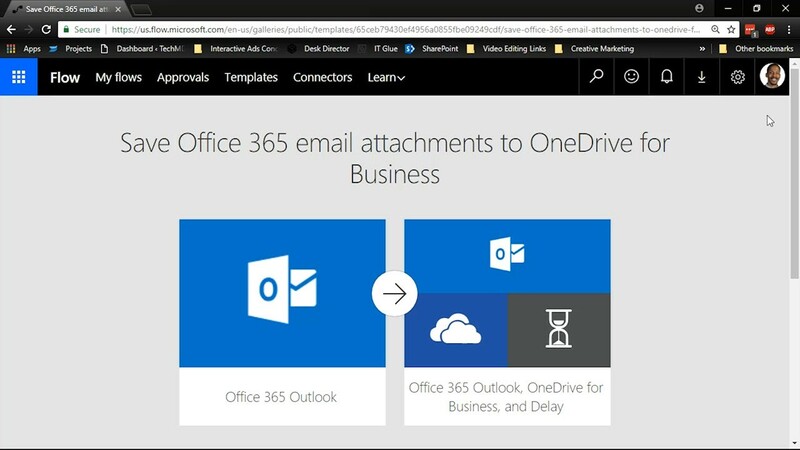 We’ll select saving Outlook attachments in OneDrive for Business. 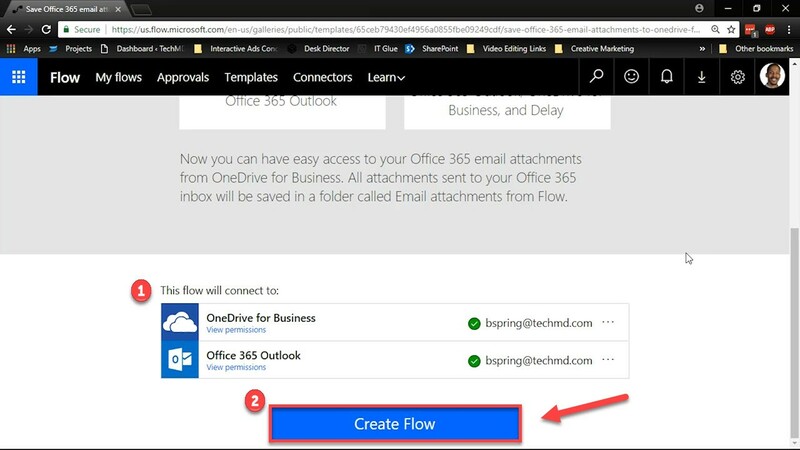 Once you click the Flow template, the app will connect with your Office 365 account. Then, hit the “Create Flow” button. Now you’ll be taken to a confirmation page that shows you the Flow is complete and will begin running. Here, you can edit the Flow’s functionality to add more steps, check it’s run history or turn it off when you no longer want it to function. 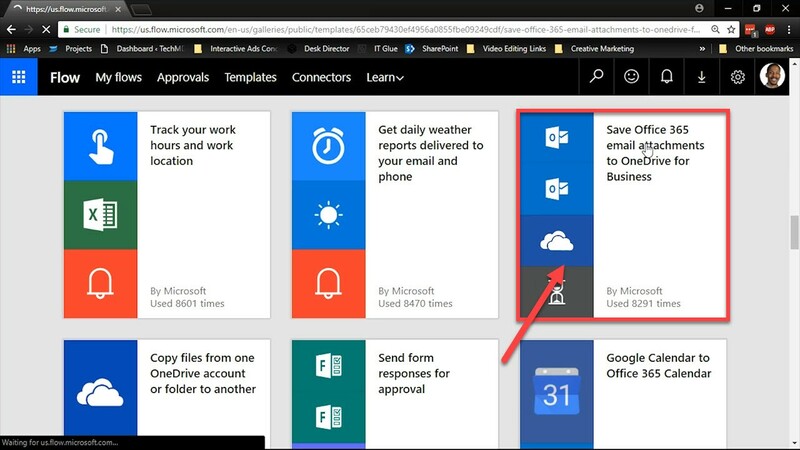 And when we look into OneDrive, you’ll see that a folder has been automatically created for the attachment functionality that was chosen. 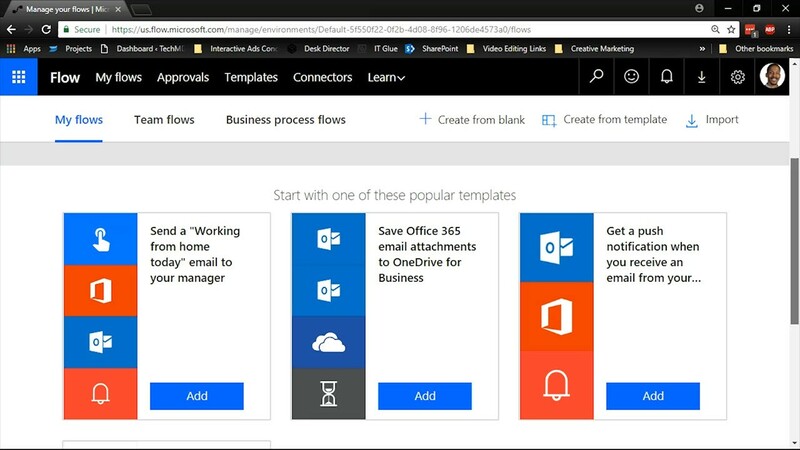 So that’s a quick overview of Microsoft Flow. It’s packed with a variety of tools to assist you through your work, so give it a try! Thanks for joining us and come back next week for more!